MYRON P. ANDERSON Myron Anderson, most fondly remembered as Andy or Mymie, went to the big meeting in the sky on September 14, 2015. He was born in Granite Falls, MN on August 20, 1934. He joined the Air Force at 17 and retired with 22 years of service. During his Air Force days, he met and married Patsi Craig in Trenton, NJ on November 7, 1964. They made Hawaii their home in 1965. 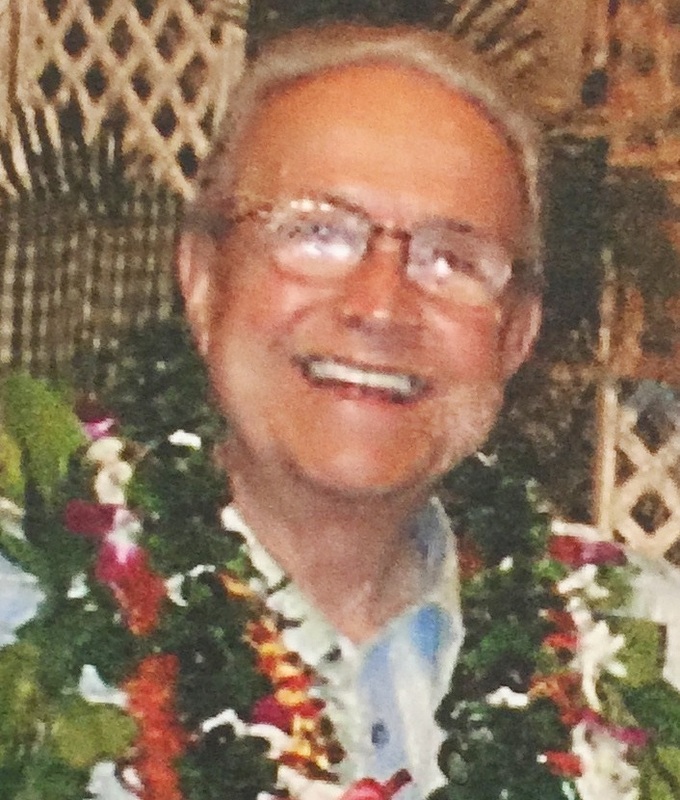 Andy perpetuated the spirit of Aloha through his selfless dedication and steadfast commitment to the education, treatment and recovery of alcoholism and addiction. He is survived by his wife, Patsi, his children, Anne and Susan, his grandchildren, Cara, Craig, and Kellan, and five great-grandchildren. In lieu of gifts, flowers, or a service, donations in memory of Andy may be made to Hina Mauka, 45-845 Pookela St. Kaneohe, Hi. 96744. 808-236-2600, in honor of his life's work.